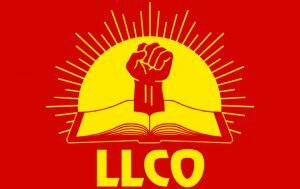 I really appreciate how LLCO is offering a fresh interpretation of the 20th century communist movement. This is exactly what we need for the movement to go forward. 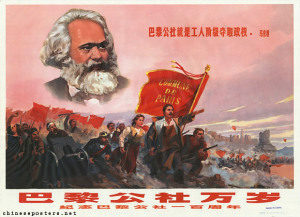 The Shanghai Commune was the beginning of the power seizure phase of the Cultural Revolution. The power seizure phase took off in the beginning of 1967. It spread across China. Prior to that, the focus of the Cultural Revolution was not on physically deposing top revisionists and their institutions of power. Prior to that, the struggles followed the pattern of more traditional Party-led campaigns and also struggles in the cultural realm. The struggle in Shanghai was of a very different kind where the masses physically deposed the revisionists from their positions in authority through mass actions that were not controlled by the Party nor totally controlled by the Maoists in power. In Shanghai, mass organizations of workers and students wrestled control of power from traditional institutions. They fought the institutional power of the local Party, and they fought each other. This is the “seizure of power by proletarian revolutionaries” mentioned in the famous 16 points in August of 1966. Powerful mass organizations deposed the revisionist Shanghai Party bosses. They were toppled and a Shanghai People’s Commune was declared in February of 1967. The rhetoric of the mass organizations stated that their commune was to be modeled on that of the Paris Commune. The Shanghai communards aspired to transform their revolt into reaching a qualitatively higher stage of socialism, actually realizing the communist ideal. However, the Shanghai Commune only lasted a month. Zhang Chunqiao was sent in by Mao to consolidate the Maoist gains, to move power away from spontaneous mass movements to a regular bureaucracy based on power sharing in a Three-in-one committee. Some of the mass organizations had had played main roles in toppling the Old Power opposed what they saw as hijacking their movement by Zhang Chunqiao and the organizations he supported. The Regiments and Third Workers Headquarters being the most significant opposition. These organizations feared that the mass movements would be sidelined, as they later were. These organizations became the targets of the “Working class in command” campaign, the campaign to purify the class ranks, and the attacks on alleged the May 16th Corps conspiracy. The “ultra-left” line was favored for a time by both Chen Boda and Jiang Qing, the head and deputy head of the Cultural Revolution Small Group. Chen Boda’s “Support the Left but not the Factions,” Jiang Qing’s calls to “Defend With Force,” or calls to extend the power seizures into the PLA, etc. were calls to continue the class struggle as 1967 went on. Mao famously criticized Wang Li, the hero of Wuhan, in connection to this. Mao said he wanted class struggle, not civil war. As soon as Mao signaled his opposition to the escalation of the mass movement, continuing the chaos, all the top Maoists distanced themselves from their previous rhetoric. Mao thought the power seizures could not go on endlessly, but the gains had to be consolidated. Shanghai was the earliest example of this pattern that would later happen in much of China. Mao favored a consolidation that returned the influence of the Communist Party bureaucracy. Lin Biao, for example, was associated with elevating the New Power of the PLA as the mass movements were ended. Chen Boda and Jiang Qing, along with Wang Li, Qi Benyu, and Guan Feng, were associated with wanting to push the mass movements forward, although they backed away from that as they saw Mao shifting his attitude toward the mass movements. The early communes of the Great Leap were a bit different. They had high aspirations just as the Shanghai communards did. They both saw the commune form as a bridge to real existing communism. However, the forms were different. The rural communes of the Great Leap were not a result of power struggles to topple revisionists in power. They were more connected to production and economic prosperity, as well as social experiment. They were not seen as smashing the bureaucracy. The rural communes of Great Leap did aim to increase mass participation, but they did not seek to replace the Party bureaucracy even though some of the bureaucracy opposed them. It is hard to know what kind of form the Shanghai mass movements would have settled on had they been left alone. It is hard to know how they would have organized power and production since the Shanghai Commune did not last long. There were attempts at various times to push for urban people’s communes during both the Great Leap and Cultural Revolution. Zhang Chunqiao and Chen Boda were both associated with this line, which was later seen as an “ultra left,” “left in form, right in essence” kind of line. Interestingly, Zhang Chunqiao later criticized the very “wind of communization” that he himself had participated in originally, but then turned against. This was part of the effort by the leftover Maoist left of the 1970s to distance themselves from their previous lines as they saw the writing on the wall as Mao continued to shift right. There is not an obvious contradiction in Mao’s support of Great Leap rural communes and his opposition to Cultural Revolution efforts to create permanent, mass movement-based Paris commune-type forms. Around this time, some of the mass movements made calls for a single commune for all of China. Mao was right in recognizing the problematic nature of such calls. It is much easier to make anarchist rhetoric than to make anarchism a reality. Mao had good reason to tone down the mass movements. The movements were engaged in violent sectarianism against each other. The mass movements sometimes created so much chaos as to hurt China’s ability to defend itself from imperialism. In one incident, the mass movements armed themselves by raiding a train full of internationalist military aid going to Vietnam. University classes were ended. In some provinces, socialist planning had broken down due to the chaos. Free markets and production were returning because of the loss of bureaucratic control. The movements were discrediting the Cultural Revolution among many ordinary people. Both Mao and Lin Biao favored consolidation. Zhang Chunqiao’s “Working Class in Command” was part of an effort to impose discipline on red guards using work teams. Ironically, the Maoists had earlier denounced Liu Shaoqi for his attempt to control the movement with work teams. “Purify the class ranks” and the campaign against the May 16th Corps conspiracy were also used. Lin Biao used the PLA to impose discipline too. Briefly, there was another line to oppose this consolidation, but it was defeated. The form that was settled on, and supported by Mao, was the Three-in-one committees. These were suppose to represent the Party, army, and mass movements. However, the mass movements tended to get sidelined in the process. The reality is that consolidation had to happen. Revolution is not a process of victory after victory, ever increasing the tempo of advance. Revolution is a wave-like process of advance followed by consolidation followed by greater advance. Mao himself said China needed many cultural revolutions to reach communism. The reason that the Cultural Revolution failed to stop the restoration of capitalism was not that the mass movements were ended or that they failed to let the Paris Commune form arise. The reason it failed was that the reorganization of power was not radical enough, the Party was not purged thoroughly enough nor were the institutions reorganized thoroughly enough. The PLA, which had developed a kind of dual power, was better suited to carry the revolution forward. Furthermore, once the Maoists lost control of the PLA with the purge of Lin Biao, another cultural revolution was off the table. Lin Biao’s PLA was a pretorian guard around the Maoists and their mass movements. They kept the authorities from cracking down until Mao turned on the mass movements. The PLA created a protective bubble around the mass movements. Once Lin Biao was gone, once Maoists lost control of the gun, another mass movement could not happen. Furthermore, the Maoists still did not recognize the full effects of productionism and the connected problems of the police paradigm and suppression of intellectual discourse. They had a primitive understanding of socialism and human nature. Although their experiments at fighting counter-revolution were an advance over Soviet ones, the Maoist approach to understanding and fighting counter-revolution were still too primitive. Today, we are at an impasse. The last great waves have been defeated. Only fragments remain. We must ask Lenin’s question again: what is to be done? We know the endgame of Marxism-Leninism. We know the endgame of Maoism. If we are to win, we have to take revolution forward. We have to advance and elevate the science. This is what Leading Light Communism is. Leading Light Communism is an all-round, all-powerful elevation of revolutionary science in all its aspects. Only the leading light of true science can pierce the midnight of capitalism and all its horrors. There is a way out of the barbarity. We have the science, the organization, the leadership to really win. 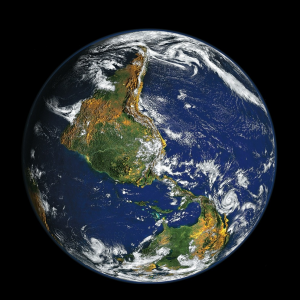 One Earth. One people. One organization. One leadership. One future. 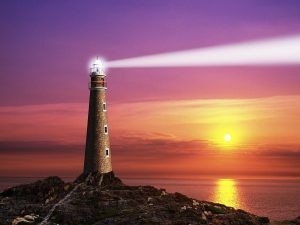 One Leading Light.